Wladyslaw Szpilman was played by Adrian Brody in the 2002 film The Pianist. THE FAMILY OF the late Jewish-Polish protagonist of Oscar-winning Holocaust film The Pianist said today they had won an appeal against defamation over claims in a book that he was a Nazi collaborator. Wladyslaw Szpilman’s widow and son brought the case in Warsaw’s appeals court after losing the initial complaint in September 2013. The family took issue with certain quotes by Polish-Jewish singer Wiera Gran in a 2010 biography of her life, written by Agata Tuszynska. The remarks see Gran accuse Szpilman of being part of the Jewish Police in the Warsaw ghetto. The popular late ghetto songstress was herself suspected of collaborating with the Nazis. A court acquitted her of the charges after the war but continued criticism forced her to leave Poland. In the original court case, ghetto survivors who knew Szpilman testified and rejected Gran’s claims, as did former foreign minister Wladyslaw Bartoszewski, who helped Jews during World War II. Judge Bozena Lasota said the author herself had expressed doubts over the allegations against Szpilman and “never shared Wiera Gran’s most serious view”. But Lasota said a biographer has the right to quote opinions based on freedom of speech and added it would be impossible to pen a biography of the recently deceased without upsetting anyone. The appeals court however found in favour of Szpilman, who died in 2000. “This ruling will allow the ethical standards in Poland to improve and bring into question the poorly-interpreted notion of freedom of speech,” said Andrzej Szpilman, the son, after the 2013 ruling was thrown out. “Once again they have closed Wiera Gran’s mouth. I am really sorry,” the Gazeta Wyborcza daily quoted the writer as saying. Following the appeal court’s decision on Friday, Tuszynska and her publishers have 15 days to make a public apology to the Szpilman family and remove incriminating passages from any future editions of the work. Szpilman inspired Roman Polanski’s Oscar-winning film about a piano player who uses his music to survive under Nazi rule. 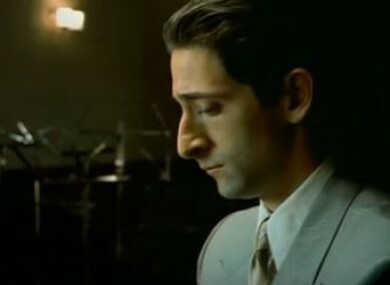 Polanski’s poignant 2002 movie about Szpilman won three Oscars, including one for actor Adrian Brody, who played him. After leaving Poland, Gran emigrated to Israel then moved to France, where she died in 2007. Email “Family of The Pianist star win defamation appeal over Nazi collaborator claims”. Feedback on “Family of The Pianist star win defamation appeal over Nazi collaborator claims”.